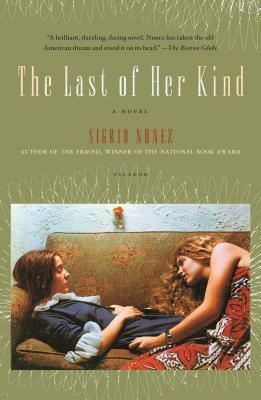 Sigrid Nunez's The Last of Her Kind introduces two women who meet as freshmen on the Columbia campus in 1968. Georgette George does not know what to make of her brilliant, idealistic roommate, Ann Drayton, and her obsessive disdain for the ruling class into which she was born. She is mortified by Ann's romanticization of the underprivileged class, which Georgette herself is hoping college will enable her to escape. After the violent fight that ends their friendship, Georgette wants only to forget Ann and to turn her attention to the troubled runaway kid sister who has reappeared after years on the road. Then, in 1976, Ann is convicted of murder. At first, Ann's fate appears to be the inevitable outcome of her belief in the moral imperative to "make justice" in a world where "there are no innocent white people." But, searching for answers to the riddle of this friend of her youth, Georgette finds more complicated and mysterious forces at work. The novel's narrator Georgette illuminates the terrifying life of this difficult, doomed woman, and in the process discovers how much their early encounter has determined her own path, and why, decades later, as she tells us, "I have never stopped thinking about her." Sigrid Nunez is the author of the novels A Feather on the Breath of God, The Last of Her Kind and For Rouenna. She has received several awards, including a Whiting Writers' Award, the Rome Prize in Literature, and a Berlin Prize Fellowship. She lives in New York City.